Barefoot Student connects employers with college students & grads! Get text or email alerts for Garden State Laboratories, Inc Jobs. Hire interns, college students, and recent grads. Search for internships, jobs for college students, and entry level career opportunities. We are the #1 job site for universities in 195 countries. Popular Jobs at Garden State Laboratories, Inc.
Summer Jobs at Garden State Laboratories, Inc.
Field Sampler Jobs at Garden State Laboratories, Inc.
Field Sampling Jobs at Garden State Laboratories, Inc.
Sampling Jobs at Garden State Laboratories, Inc.
Science Jobs at Garden State Laboratories, Inc.
Environmental Science Jobs at Garden State Laboratories, Inc.
Water Jobs at Garden State Laboratories, Inc. 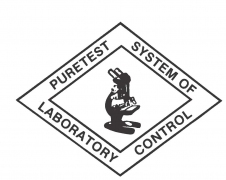 Pool Jobs at Garden State Laboratories, Inc.
Lake Jobs at Garden State Laboratories, Inc.